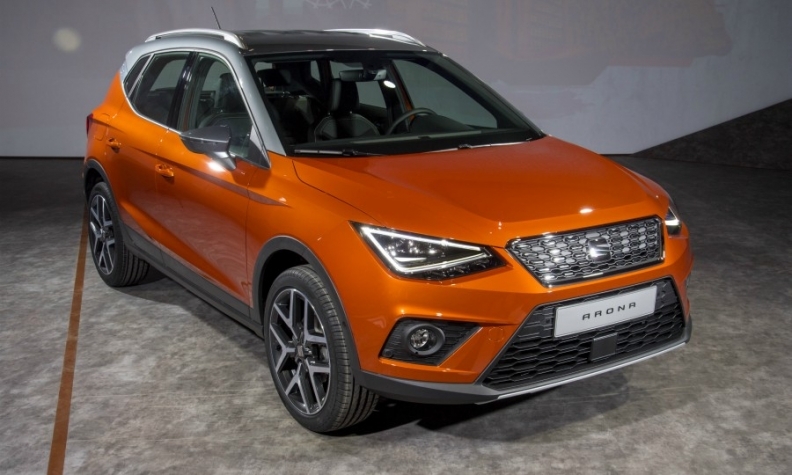 Seat needs more workers to help build the Arona, shown. BERLIN -- Volkswagen Group's Spanish division, Seat, said it would hire 250 more workers at its plant near Barcelona to boost production. The new recruits will strengthen the workforce especially for the Ibiza subcompact car and Arona small SUV, Seat said in a statement. They will also help when Seat takes over production of the new-generation Audi A1 from VW Group's Brussels plant later this year, the company said. In the first quarter production at the Martorell plant grew to 132,804 vehicles, up 12 percent on the same period last year, Seat said. Seat has recently expanded capacity at Martorell to 2,400 cars per day from 2,300 to serve growing demand. The company said it has agreed with labor unions to run additional production shifts on weekends in coming months. Seat returned to profit in 2016 for the first time in about a decade. Its vehicle sales jumped 19 percent to 139,200 in the first quarter, the brand's bext quarterly result to date.